The Women’s Council of the Dallas Arboretum revealed the honorary chair and the distinguished authors for the 12th Annual “A Writer’s Garden” Literary Symposium and Luncheon A Passion for Gardens. 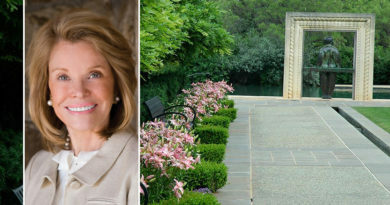 A longtime supporter of the Dallas Arboretum, Barbara Hunt Crow, will be the honorary chairman. “A Writer’s Garden” Literary Symposium is an annual Fall Fundraiser, which has presented outstanding authors and speakers with extensive knowledge in the histories of garden design, architecture and art, and stories of extraordinary individuals and events. The 2018 program will feature Carolyne Roehm, internationally recognized style icon and gardener extraordinaire; and Colta Ives, renowned art historian and landscape designer. Roehm has been part of American design culture for over four decades with a career spanning the fashion, gardening, decorative arts, entertainment, and publishing worlds. Finding a mentor in Oscar de la Renta, she worked alongside the couture great for 10 years before launching her own fashion house in 1985. 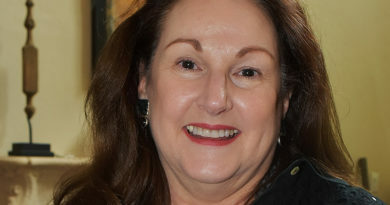 A discerning eye and a passion for beauty lead her into the world of flowers and gardening, where her books are often referred to as the best in their field. 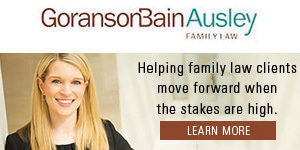 Subsequent entertaining and interiors titles cemented her position as one of America’s premier lifestyle experts. During her long career at The Metropolitan Museum of Art in New York City, Ives has organized over 20 exhibitions and authored nearly as many scholarly books on artists and art, mainly of the nineteenth century, among which are the titles: Daumier Drawings, The Private Collection of Edgar Degas, The Lure the Exotic: Gauguin in New York Collections, The Graphic Art of Pierre Bonnard, and Vincent van Gogh: The Drawings. Colta has lectured on these topics and others at the invitation of museums across America and also in France and Australia. She has conducted seminars at New York University and at Columbia University, her alma mater, from which she holds graduate degrees in both Art History and Landscape Design. Since 1986, the major goal of the Women’s Council has been the development and maintenance of “A Woman’s Garden,” the only public garden in the nation conceived by women, funded by the efforts of women, and dedicated to the spirit of women. “A Woman’s Garden” celebrates the strength, ingenuity, creativity, and determination of all women. It is a centerpiece garden of the Dallas Arboretum and Botanical Garden. An exclusive “Meet the Authors” Reception for Sponsors and Patrons is planned for Nov. 13 in a private residence. Information is available at womenscouncildallasarboretum.org.